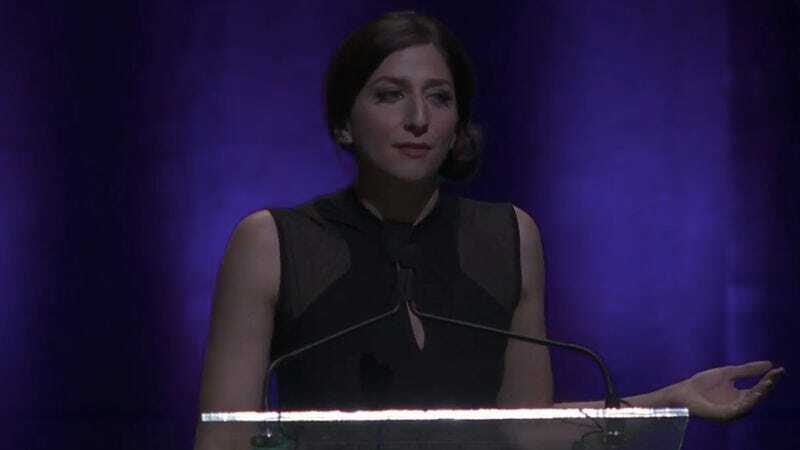 Chelsea Peretti hosted the Crunchies Monday night, TechCrunch’s annual award show for startups, and while she may have taken the check, she clearly refused to massage Silicon Valley’s massive collective ego. She also spent a ton of time ripping the industry’s lack of diversity, suggesting they shouldn’t have picked a white host, asking if they were hiding the female leadership up in the balcony, and suggesting that the Include Diversity Award was actually just was actually “a literal note on your to-do list from last year. Did you jot that down and forget to name it?” She also spent about three minutes mocking the on-demand economy, congratulated Snapchat for having “completely revolutionized the way teenagers get pregnant,” and said, “whatever, sometimes you have to make yourself happy” when a joke bombed.